The type of business you’re starting, the laws in your jurisdiction, what you can afford and what suits your lifestyle will determine the options for your business location. If you are a renter, you may have additional hurdles to jump through with your landlord. A major benefit of using your home as your business location is that you won’t waste any time commuting and you won’t incur additional costs to rent an office space. The IRS also offers significant tax deductions for a home office used exclusively for your business. Not only is the cost of the space deductible, but so are the utilities, furniture and improvements associated with that space. A storefront gives you more than just a place to do business. With the right location and signage, it’s also a form of advertising. If you’re in the cupcake business, for example, you will likely have more customers if you sell cupcakes from a visible storefront rather than solely providing them for catered events — but you’ll have to determine whether the costs and extra work of running a store provide enough payoff. Running the store might detract from your catering work, or it might enhance it by bringing you more foot traffic and more potential catering customers. But you’ll have additional costs from renting the space, paying utilities, securing additional permits and licenses, dealing with the health department and hiring employees to help you attend to customers. If you provide a professional service like consulting, renting a space in an office building might make sense. It will allow clients to come to your office instead of you always having to go to them, and working outside the home means a greater separation between your work and home lives. Although you will spend some time commuting, working outside your home also gives you more opportunities to meet people and network, especially in a coworking space. In fact, coworking gives you the option to work out of an office on an as-needed basis, which may cost less than renting an office full time. There are both federal and local requirements for business permits, licenses and registration. The requirements depend on what your business does and where it is located. These lines of business will also generally require special state licenses. Your state and/or city will probably require you to have a business tax certificate. Depending on your line of work, you may need a state occupational license. 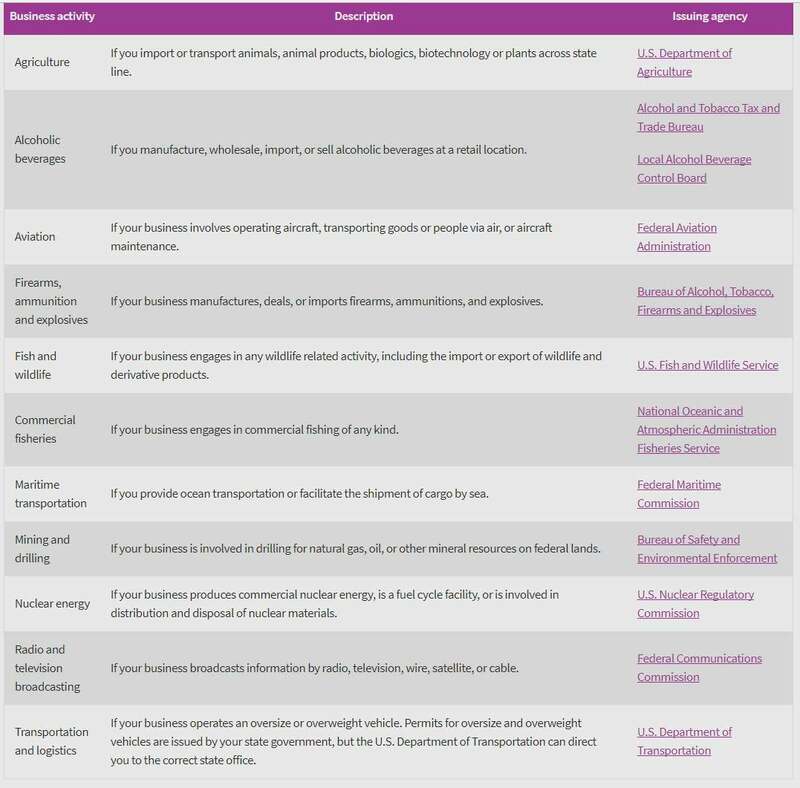 Doctors, attorneys, real estate agents, insurance salesman and hairdressers — among others — commonly need an occupational license, and an occupation that requires a license in one state may not in another, which could affect the line of work you go into or where you decide to operate. If you want your business to sell liquor, lottery tickets, gasoline or firearms, you may need a special state license. If your business will operate under a fictitious name, you will probably need a “doing business as” or DBA permit; laws vary by state. You may need to conduct a name search to make sure the business name is available in your state and publish notice of your DBA in a local newspaper if your county requires it. You’ll also need to complete and file an application with the appropriate government offices depending on what’s required where you operate and what level of legal protection you seek for your business name. Certain businesses, such as manufacturing, require zoning and land use permits. Nightclubs and bars may require fire permits. If you’ll be selling taxable merchandise, you’ll need a sales tax license or seller’s permit. If you’ll be preparing or selling food, you’ll likely need a health department permit. Your state may also require you to get a state tax identification number if your state has an income tax. Next, we’ll discuss whether you should hire employees for your new business. For anyone considering starting a home-based business, here's important information on business licenses and permits you need to operate legally. Don't just open the doors and bring in the customers - consider these five factors before launching your own business. If you're a homeowner, don't forget these deductions and credits, which you can use to reduce your tax bill. There are several key steps every business owner must take to achieve success. Starting a seasonal small business isn't as hard as you think. With the right planning, you can have a successful business that operates seasonally.